To preface; the term “best” is subjective. From best quality, last’s the longest or makes you the best painter to best value and presentation. Everyone has their own interpretation. 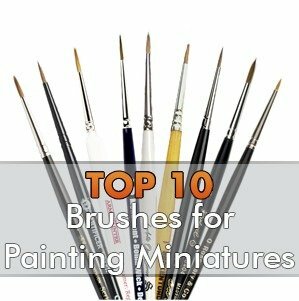 Below, I’ve summarised the top 10 most popular brushes for painting your minis in order of popularity. 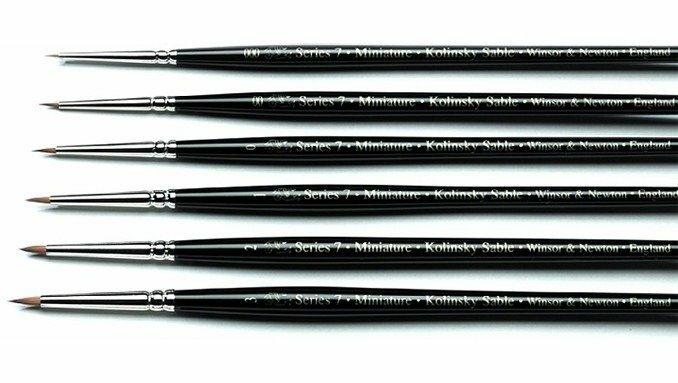 For those of you who just want the TLDR: the most popular choice by a very ‘clear’ margin is the Winsor & Newton – Series 7 Kolinsky Sable Brush set (not to be easily confused with the Winsor & Newton – Series 7 Kolinsky Sable ‘Miniature’ Painting Brush set – more on this later). Does popular mean better? Well, If you want to know, have a look at the summaries below. Most of the preferred options are sable hair brushes, sorry synthetic brush lovers. 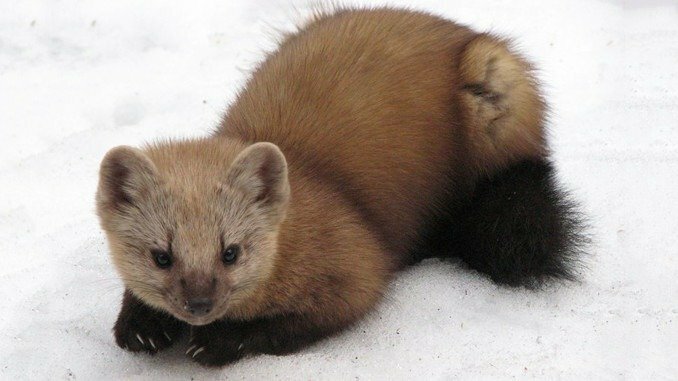 The general view here is that they last the longest due to their ability to be thoroughly washed and conditioned with brush soaps and conditioners. Synthetic brushes are resistant to washing & conditioning. Imagine washing a doll’s hair with a normal hair conditioner? It’s not going to make much of an impact. Synthetic brushes do have their uses, however, especially when using Enamel paints as the cleaning and thinning products (most of which are alcohol based) will destroy the hairs on a typical sable brush. If you are using Sable hair brushes, make sure you’re cleaning and conditioning them thoroughly after every painting session. 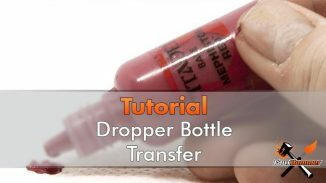 To do this you want to be sure to pick up a tub of The Masters Brush Cleaner and Preserver. If you want to see how these brushes are made, check out the 2-minute video here. Full Disclosure: This product uses affiliate links. Price comparisons I’ve mentioned below are based on UK prices comparing like for like brush sizes. Update 05/01/19: Several people have asked what “Must Have” brush sizes are. Like the brushes themselves, this really depends on you. I’ve kind of turned to Artis Opus base set to answer this. In their set, you get #000, #00, #0 & #1 and that seems like a fair range, to be honest, you could just get the #000 & #1 then either of the #00 & #0 depending on what you paint. Another good option would be a #10/0 for things like eyes. If you’re painting larger curved surfaces go up to a #2, #3 or #4. If you’re painting vehicles with very large flat surfaces, you will want a flat head brush (Which is a range I haven’t gone into here). 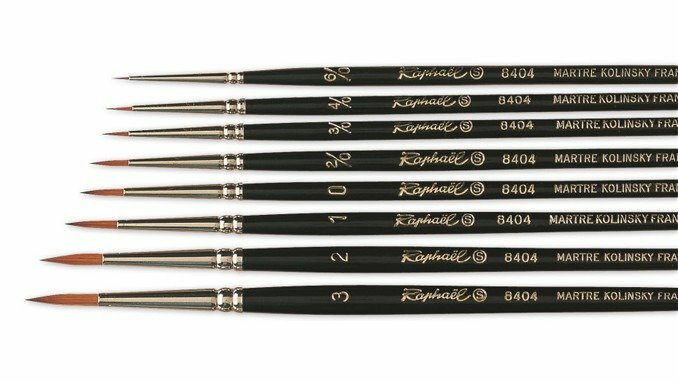 Like many of the options on this list, Da Vinci’s Maestro Series 10 are watercolour brushes made from Kolinsky red sable hair. Preferred as the best brush by many miniature painters. They are some of the more affordable high-end brushes they come in just under the average price of brushes on this list. A huge range of sizes is available, from a crazy small 10/0 (aka 0000000000) to an insanely large size 50! The latter of which you have no need for, and don’t want to see the price of. Users of the Da Vinci Maestro Series 10 (made in Germany) advise that they are great brushes with solid lastability. For people who have used these and other brushes, the only complaint is that the bristles are quite thin and short so they don’t hold as much paint as some painters would like – but even this is not enough to put most people off. This choice would be a great entry point for some high-end brushes. Whilst they are number 10 in our list they are still considered among the best-in-class. Update 14/01/19: Da Vinci have been in touch and have agreed to send me a set of their brushes for review. They will also be sending their Micro Maestro Series. Look forward to the in-depth review coming soon. I’ve seen suggestions that Broken Toad no longer makes these brushes and my first draft of this article advised they were unavailable. This is because the store listed every brush as ‘out-of-stock’. When I checked again for some more info on the brushes I realised they were back in stock… Perhaps it was just a product refresh or they are in fact coming to the end of their life? I’m unsure, but I can’t see any suggestion from Broken Toad themselves that this is the end of the line for these brushes. 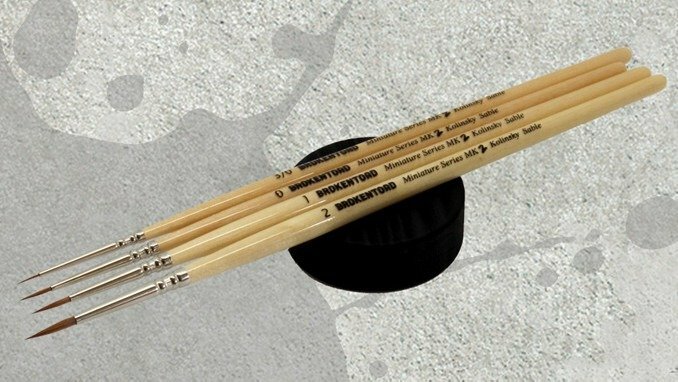 Update 04/01/19: Here is the announcement from BrokenToad are discontinuing their brushes. If you pick these ones up, you are unlikely to get replacements when you need them. Thanks to Ian from The Geekary Painting Service for sharing this post from BrokenToad with me. An odd set that I struggled to get much background info for. From what I understand (please correct me in the comments if I’m wrong) these were invented by SlowFuse Gaming (SFG) and are the only brush on our list which is actually made of a ‘synthetic’ Kolinsky Sable. Looking on SFG’s website, they cannot be found anymore. Instead, head over to Creature Caster where you can pick up all of the Bomb Wick brushes for a reasonable price (23% cheaper than the average prices of brushes in this list). What the relationship from SFG to Creature Caster is, I’m unsure. They are available in sizes 10/0 (aka 1×10) to Size 1. Update 05/01/19: Jason from SFG got in touch via Facebook to explain the situation to me. Slow Fuse Gaming grew and rebranded to Monument Gaming (who now also sell their own range of paints). After this, they Merged with Creature Caster to develop and sell the products created by both teams. 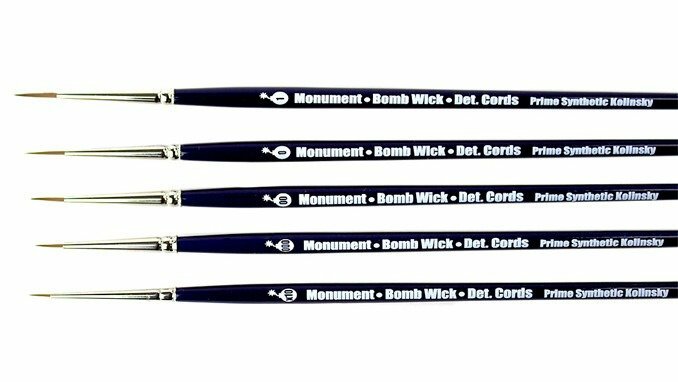 Good news, you can still get your Bomb Wick brushes and there’s no sign of them disappearing any time soon. Update 16/01/19: Jason from SlowFuseGaming / Monument Gaming / Creature Caster got back to me offering to provide a set of Det. Cords along with some other brushes which will showcase the whole range. We look forward to receiving these and will have a full review and range impressions up for you soon. Latin for ‘Work of Art’ the Artis Opus are arguably the sexiest brushes on our list. This set from designers in London, England is gaining popularity as more people are getting invested in them. Successfully Kickstarted in April 2018 where they met their target of £10,000 ($12,610.50 USD) in only 52 minutes since launch. They reached £187,953 ($237,018.13 USD) by the end of the campaign. 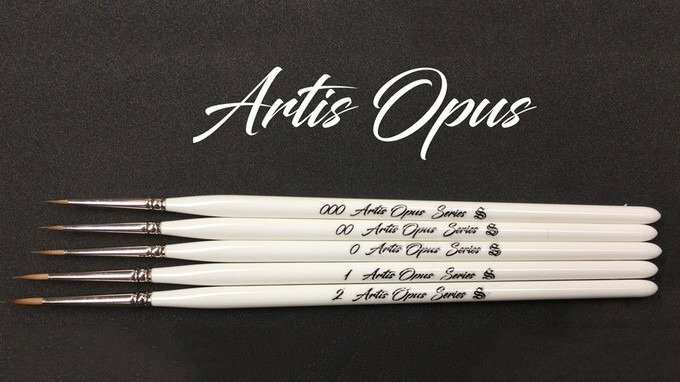 Feedback on these brushes has been incredibly positive and this is especially good when considering the Artis Opus Series S 40% more expensive than the average cost of brushes on this list. When buying this brush set, they come in a very attractive storage case which has a variety of wood finishes and choice of engraved artworks. You also have the option of a custom engraving on the interior and/or exterior of the lid. The set comes with 4 Brushes from Size 000 to Size 1. you can get a 5 brush case to store one of their additionally offered Size 2, 3 or 4 brushes. Unfortunately, there is no 7 brush case to store the whole set. If you have the money, this is an impressive set to obtain. 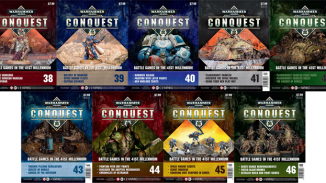 Army Painter’s Wargamer Series are the most directly comparable range to GeeDubya’s (GW’s) offering and in many peoples opinion, of superior quality. However, this is purely subjective. Unlike most of the alternate brands on this list where brush sizes follow the naming conventions used for all Fine art brushes 000, 00, 0 1, 2, etc. Army Painter (like Games Workshop) have their own unique names for the brushes they offer. In some products, they do advise the equivalent Fine Art brush size. Their ‘Masterclass brush’ being a 00 for example. One you should not pass over is ‘The Psycho’ an incredibly small detail brush which I would suspect is equivalent to a 10/0 brush. I personally love this brush. The only issue I have is that it is so small, the paint dries on it too quickly, sometimes before you can even get it from a palette to a model. Thinners and drying retarders are needed, but this is more to do with the paint itself than the brush. Another unique point of this rage is the handle shape, a rounded triangular design which according to Army Painter’s description, gives the painter 100% control. I’ve never been aware of any rotational slippage with a round brush so how true this is down to your personal experience. They also make the claim on their website that “these brushes are arguably the the best value brushes in the industry” (complete with double ‘the’ typo). You will be replacing these more often than the more professional brushes. However, they are good quality, arguably better than GW, and are 40% cheaper than the average prices of brushes on this list. The only cheaper set of brushes on the list are the ones from Games Workshop. Being the best value in the industry is a bold claim with good merit. The starting point for many miniature painters, if for nothing more than the only ones people are aware of due to Games Workshop’s popularity. The range strips away the typical naming convention used in every other art brush set. The skeptic in me believes this is to reduce people’s ability to directly compare them to other brand’s brushes, keeping users invested in Games Workshop. But, in all honesty, the optimist in me does realise that the brush names are much simpler for beginners to understand. Have a guess what a base brush is for? They are fair work-horse brushes for the price. 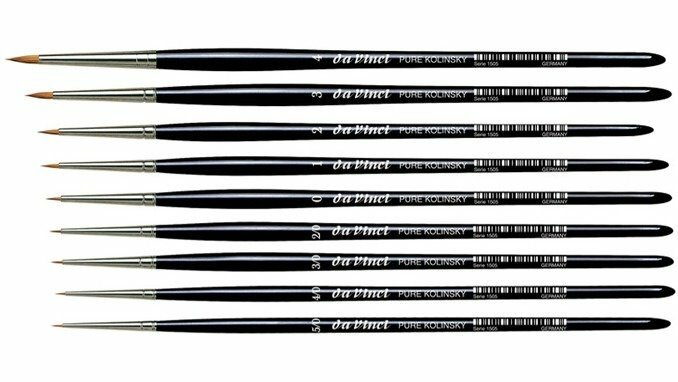 you may be surprised to find that these are actually the cheapest brushes on the list. Approximately 50% cheaper than the average cost of brushes listed here (not including the artificer brushes) and they do the job. But many long-term painters will tell you that they don’t last. I can attest to that statement. I’ve had some fine detail brushes fray on me after only one use. 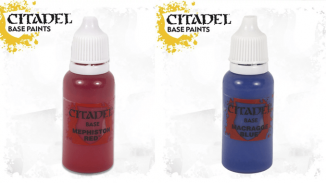 For those invested in the Citadel brand, these brushes are entwined into all of their painting guide media, from the White Dwarf and painting books to their online videos. 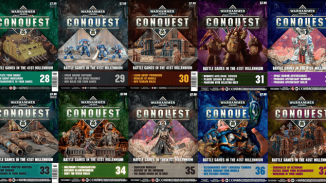 If you are just starting out there’s nothing wrong with these especially considering the value-add Games Workshop gives you with all the painting guides they provide for free. 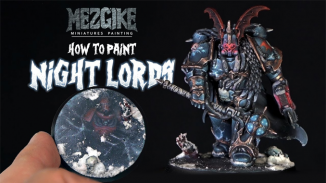 You can easily follow along using their recommended tools and get up to a very-good painting standard using this kit. I always buy my dry-brushes from GW. They do the job well for a brush that gets a bit trashed after only one use. I also don’t know what the comparable alternative to M Dry-Brush is called in other brand’s ranges (well done GW). Their Artificer Brushes are a different story, apparently made by Winsor & Newton (so I’ve read from a few online claims) but I haven’t found any evidence to support this. 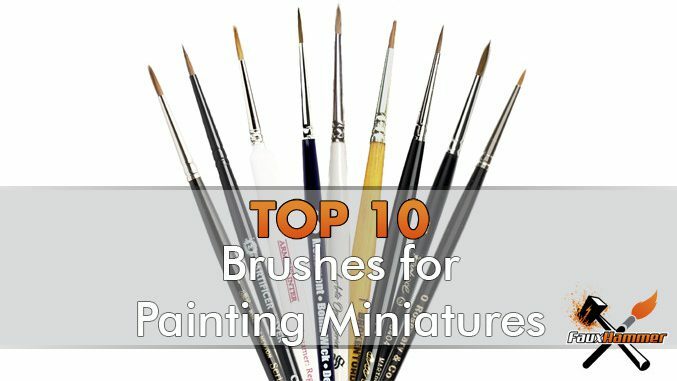 The Artificers are 60% more expensive than the average price of brushes on this list! So if they are made by W&N GW are adding approximately %5 to the RRP. of the equivalent brush. But again, consider the value-add you get by being invested in GW. they need to support paying for people like Duncan and community team somehow. The popularity of this particular range comes down to one thing – confusion. Most people, myself included, will have gone looking for the best miniature paint brushes and found the most popular set to be called ‘Winsor & Newton Series 7’. A quick trip to Winsor & Newton’s website will show 2 types of Series 7 brush; The Standard ones and The Miniature ones. You would think that you want the miniature set, after-all you’re painting miniatures. The problem here is that you’re reading this from the context of someone who paints miniature models. In fine-art, which is the target market of Winsor & Newton, ‘painting miniatures’ actually refers to miniature pictures. 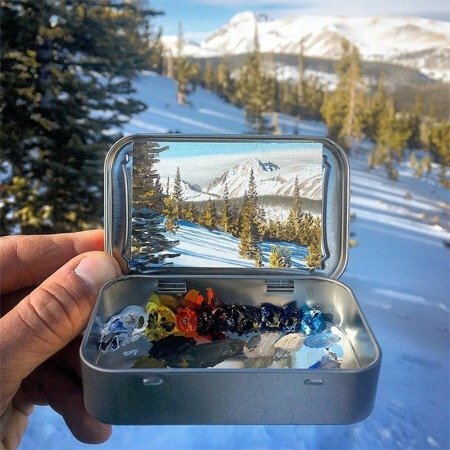 (teeny tiny little canvas paintings, like this incredible one pictured below from Instagram user remingtonrobinson). 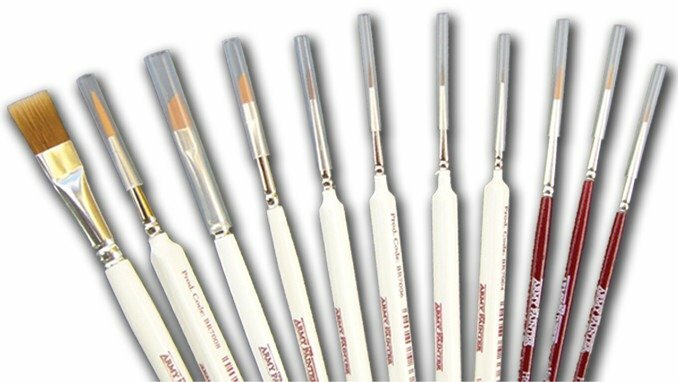 The brushes are designed to hold less paint so that acrylic and watercolor painters do not deploy too much onto to the canvas. The shorter bristles provide sharp precision as they are less floppy. For painting miniatures, you would actually want the brushes to hold more paint in the belly but still have a fine tip. Which is why the normal set of Series 7 took the number 1 spot on this list. Don’t fret if you have bought these they are still high-quality brushes and they do the job. But when I swapped a couple of my miniature ones out for the normal ones; I noticed a considerable improvement in my painting, especially glazing. If you have these, great. If you haven’t invested yet, these aren’t the droids you’re looking for. date 05/01/19: A few people have pointed out that I’ve been a bit harsh against these brushes. I’ll admit that this comes from my own personal burn – having bought these myself instead of the regular series. I struggled with these (particularly with glazing). I found a marked improvement in my painting with the normal set. However, these are still a great set of brushes and sharing my personal experience is not fair to you the reader or the brand. Over time with your painting, you will learn to understand if you want a longer and wider (normal set) or shorter and thinner (miniature set) bristles on your brushes. Then you can select either range based on your preference. Whilst not the most popular, these are the most critically acclaimed brushes in the list. 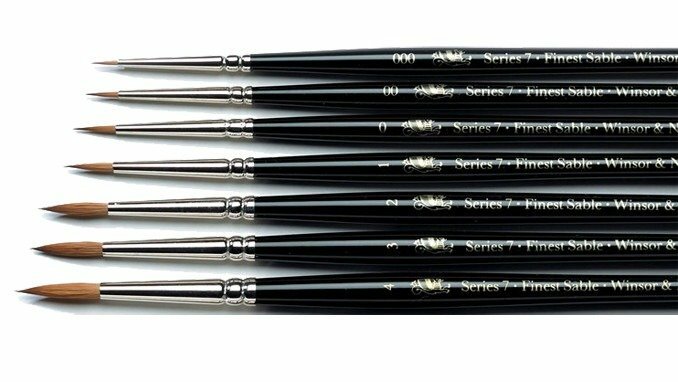 Almost every commenter talking about these had tried and compared them to the normal Winsor & Newton Series 7 brushes and said that these were hands down the better quality of the 2. Holding more paint, having a more reliable tip and lasting much longer than W&N. Made of Kolinsky Sable specifically for watercolour by Raphaël of France these are the true up-and-comer of the miniature painting range. They are also cheaper than the more Popular Winsor & Newton Series 7 brushes (only 10% more expensive than the average price of brushes on this list). These may be the best quality brushes you can get at a more affordable price than the comparable options. To have a more definitive answer we are going to need a lot more people using these brushes and getting the word out. But if the current consensus is anything to go by, these are the best you can get. Taking the number 2 spot due to this being the culmination of 2 different sets, the Series 22 & Series 33. The jury was out over which specific brush was preferred in many polls. Users did not specify a series, only ‘Rosemary & Co’. The Series 22 is longer and slimmer than the 33 and arguments can be made for either side. Both designed for watercolour paints. Using them with acrylics, many say that a wider brush will be better as it holds more paint. On the other side of the fence, we have the argument that a wider brush has more risk of striking parts of your model you didn’t intend to. The series 22 is the more expensive and usually preferred option but is also limited as the smallest size is 0. Whereas the Series 33 goes all the way down to 10/0 (or 10 x 0, or 0000000000, whatever you want to call it). Whichever series you go for you’re getting a best-in-class for the quality brush (along with W&N, Raphael, Rosemary & Co and Artis Opus). The price for the series 22 is 30% cheaper than the average cost of brushes on this list, whereas the Series 33 are over 45% cheaper. No wonder this is a popular brand. Update 06/01/19: Rosemary & Co have been in touch off the back of this article, and have agreed to send me a set of their brushes for review. Along with a couple of their other brushges ‘which may surprise [me]’. Look forward to the in-depth review coming soon. 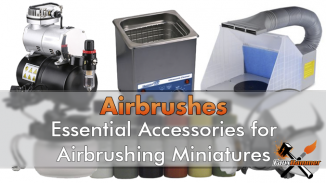 When I put the call out asking what the best brushes for painting miniatures were, I had 32 significantly different options (and some daft yet creative suggestions, like the scalps of fallen enemies). The list below makes up the bottom 5% in popularity of all the options mentioned. This does not mean they aren’t worth looking at. Instead, it goes to show that best brushes you can get are really just the best brushes that work for you. As one voter commented; which I think is the best way to put it – “Wise man said: brush doesn’t paint by itself… “. 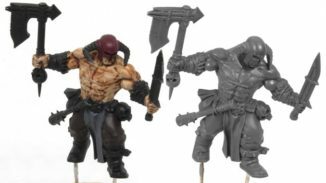 – Facebook Group – Miniature Painting Tips And Tricks. Showcase And Share Your Secrets. Looking almost identical to number 4 on this list (sans the word ‘Miniature’) the Winsor & Newton Series 7 is the most popular choice by a clear margin. When I say clear I mean this option took up 48.8% of all votes counted. If you include the perhaps mistakenly purchased “Winsor & Newton – Series 7 Kolinsky Sable Miniature Painting Brush set” it would have been 55.4%. It’s hard to determine whether Winsor & Newton make the best brushes for painting miniatures of if they are just on a very lucky roll. 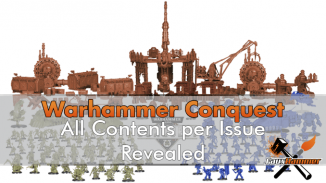 We do know they are the most expensive brushes (excluding Games Workshop’s Artificer series). Both this set and the miniature set above cost 55% more than the average cost of brushes on this list. But this is a better example of how supply and demand works. With greater popularity also comes more opportunity for criticism. Users have complained of issues such as the guide hair (the longest hair in the middle) sticking out too far and drying before you can start to paint. People have also said the quality level has dropped of late as they simply do not last as long as they once did. I’ve had no issues with mine in the last year, but I’m an infrequent painter and I keep them washed and clean with masters brush soap. 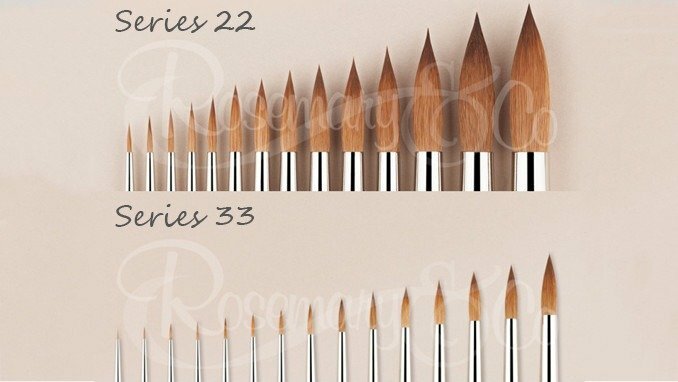 They are an excellent choice of brush, but you are paying nearly half again on top of the Raphael 8404 Series and they are almost/over triple the cost of Rosemary & Co’s Series 22/33 respectively. In Summary, The Winsor 7 Newton Series 7 (Normal, not Miniature) are clearly the most popular brushes. however, the Raphael 8404 series is commonly lauded as the better quality set. At only two thirds the price of W&N’s offering, picking this up is a consideration that should not be ignored, it certainly can be considered as a bargain in comparison. I’ll be getting a set for review in the coming weeks. Rosemary & Co, Da Vinci Maestro and Artis Opus are equally good options if you are looking for the best quality and reliability. There is some good feedback for Broken Toad & BombWick which are the brushes designed for painting miniatures too. 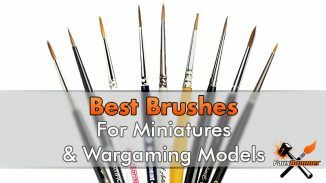 Finally, if you are buying Games Workshop or Army painter brushes, you are getting brushes which are worth the price you pay. Neither will make you the best painter you can be, but equally, neither are restrictive in getting you to that “excellent” quality level. So which one is the ‘best’ brush? Whilst there is no simple answer, the thing to take away here is that the best brush is the one that works for you. One that fits your style and budget appropriately, don’t break the bank on a brush expecting it to make you a wizard. Start out with some cheap options like Games Workshop and/or Army Painter and work your way up when you have learned proper care and protection. Find out what you do and don’t like about your current brushes and if you’re not happy, jump to a different brand when one starts to get stray hairs and needs to be replaced. With good care, all of your old brushes will remain loyal work-horses, as stipplers at least. When they’ve totally had it, you can always use them as paint mixers. I still have my Games Workshop Citadel Starter brush that I got with my first paint kit over 23 years ago and yes, I still use it. Remember: a good brush won’t magically make you a good painter, but a bad brush could make your paintings worse than they could be. 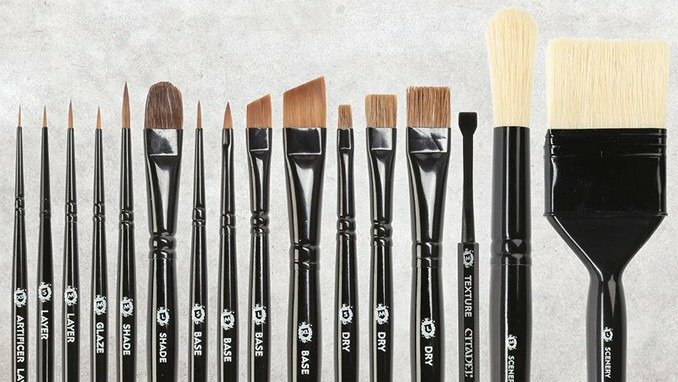 Very insightful review representing a variety of views on different brushes! Thank you! I actually came here searching for replacement for Winser & Newton Series 7, because recently they are of very bad quality (at least size 1). The used to be really amazing when I bought my first ones 5 years ago. Each of those with proper care served me for half a year each. Now first I ordered 3 size 1 from one large supply sight, and was utterly disappointed. They split and didn’t hold making them close to be useless. I assumed that it might be a fault of say storage so I ordered another 3 size 1 from W&N. Same story :( I would not buy it ever anymore, so much money wasted.